Destratification fans improve heating system efficiency in large high bay open workshop / warehouse areas by returning warm air down to working level and reducing heat losses through the roof structure. When running at the optimum air change rate, savings of up to 20% can be acheived on heating costs. 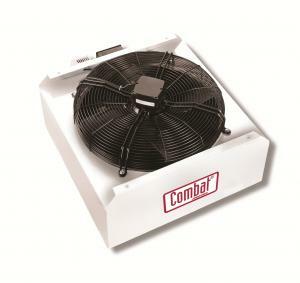 Fans may also be used for process applications where product temperature can be reduced under a steady air flow.